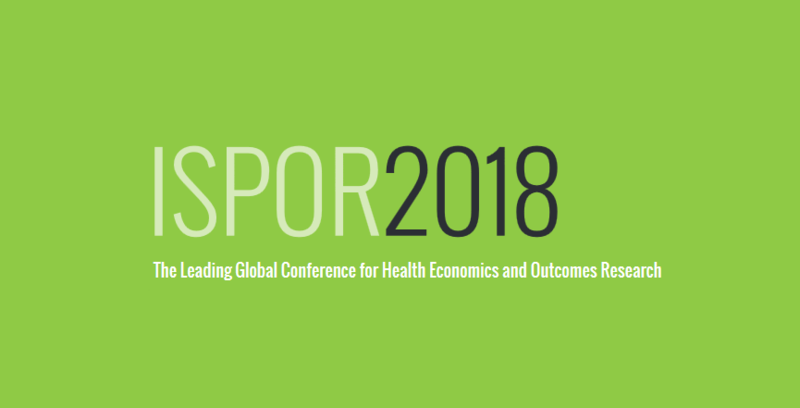 The International Society for Pharmacoeconomics and Outcomes Research (ISPOR) held its annual conference in Baltimore, Md. last month, and Venebio consultant, Carlos H. Rojas-Fernandez, PharmD attended to gather insights on recent developments and trends in the industry. Rojas-Fernandez’s notes that there were a number of posters from Alkermes in the area of economics and outcomes of treatment-resistant depression, as well as outcomes of patients receiving intramuscular antipsychotics (used for bipolar disorder and schizophrenia). Alkermes currently markets intramuscular aripiprazole (antipsychotic), has NDAs for a novel antidepressant (which are under review by the FDA), a new dosage form for aripiprazole, and has drugs for schizophrenia and MS in Phase III trials. Similarly, Lundbeck presented on outcomes, side effects, and health care utilization for patients taking atypical antipsychotics for treatment-resistant depression, as well as early use of these drugs in treatment resistant depression. Additionally, Lundbeck has started clinical development of a potential new treatment for Parkinson’s disease. Amgen presented posters focused on various aspects of migraine treatment, health care utilization and health care costs, and productivity associated with migraines. Recently, the FDA has approved the company’s drug Aimovig™ for migraine prevention. Health technology assessment (HTA) and real-world evidence (RWE) as they pertain to generation and use of such data for regulatory, payer, and clinical decision-making purposes. Data from HTA has been important in the decision-making process regarding reimbursement decisions and in clinical decision-making, yet its reliance on registrational clinical trial data is an important limitation. It is becoming clear that inclusion of RWE data will be important in order to provide a more robust and clinically useful HTA package. Qualitative patient experiences for HTA, as well as for regulatory decision-making. The patient experience is a central part of designing, testing, and using patient reported outcome measures (PROMs) in drug development. Qualitative research uses rich data from patient experiences to develop valid and meaningful patient reported outcomes to be used as outcome measures in clinical trials. Data from PROMs serves to provide meaningful context to supplement clinician-reported outcome data. Patient reported outcome data will be important to aid in product differentiation. Outcomes and economic research of direct-acting oral anticoagulants (DOACs). DOACs entered the market in 2010 (dabigatran, apixaban, rivaroxaban, edoxoban), providing an ostensibly safer option to warfarin for stroke prevention in atrial fibrillation. The popularity of DOACs has increased since their introduction, while warfarin use has decreased, since DOACs are believed to be easier to use, more effective, and safer than warfarin. Nevertheless, there is a need for well designed RWE studies to demonstrate the efficacy and safety of DOACs in a variety of patient populations and in different countries, as patients in real world settings will not only differ from those in clinical trials in their clinical characteristics, but their medication taking behavior is unlikely to be as good as in clinical trials. To see more about who attended and presented, visit the ISPOR conference website. ISPOR 2019 will take place in New Orleans, May 18-22, 2019.